The General Data Protection Regulation (GDPR) framework seeks to create a harmonized data protection framework across the European Union, and aims to give back EU citizens control of their personal data by imposing stricter requirements for those hosting and processing this data, anywhere in the world. IBM is committed to putting data responsibility first and providing solutions that are secure to the core for all customers. 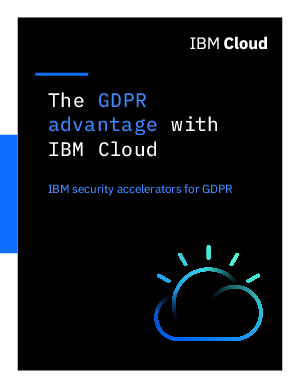 As such, IBM Cloud has fully adopted the EU Data Protection Code of Conduct for Cloud Service providers – meaning we agree to meet the entirety of its stringent requirements.